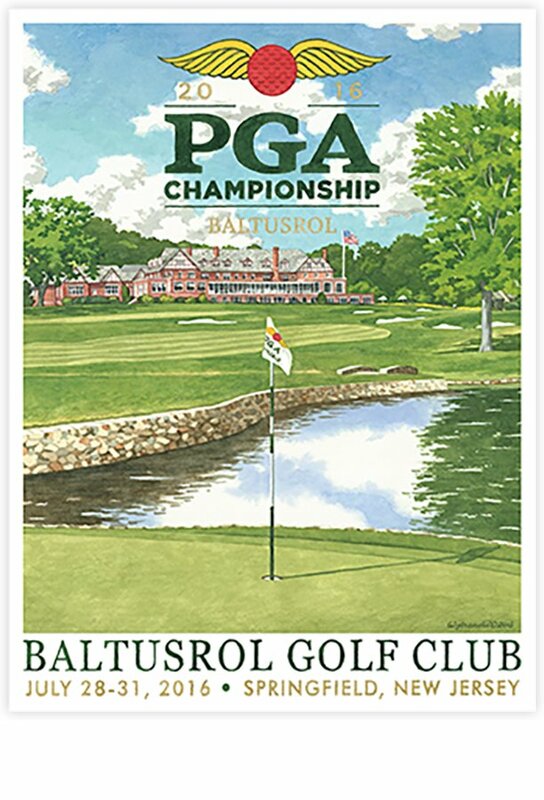 The official poster for the 2016 PGA Championship at Baltusrol is the third by renowned artist Lee Wybranski. It depicts the clubs’ showpiece 4th hole in a view from the green back to the iconic clubhouse. Lithographs printed on 65# cover weight, natural white paper. Digital fine art prints on archival, uncoated paper. Printed with lightfast inks, resulting in greater color saturation and clarity. Digitally printed with lightfast inks on fine art canvas. These prints are hand-stretched on medium or heavyweight stretcher bars and shipped ready to hang.